The Classic Christmas Album series, launched in 2011 with THE CLASSIC CHRISTMAS ALBUM by Tony Bennett, rings in the holiday season with new editions by Elvis Presley, John Denver, Kenny G, Willie Nelson, and Luther Vandross. The titles will be available everywhere October 2nd through Legacy Recordings, a division of SONY MUSIC ENTERTAINMENT. Each new collection gathers 14 or more remastered tracks spanning the career of each artist, all of whom recorded multiple holiday albums through the years, as well as occasional Christmas tunes on other albums. THE CLASSIC CHRISTMAS ALBUM by Kenny G, for example, presents selections from his five holiday releases: Miracles: The Holiday Album (Arista, 1994), Faith: A Holiday Album (Arista, 1999), Wishes: A Holiday Album (Arista, 2002), the Greatest Holiday Classics (Arista, 2005), and The Holiday Collection (Sony 2006). With many of their holiday albums either out-of-print, or never issued on CD, or highly collectible rarities, each new title in the Classic Christmas Albumseries is a welcome cross-section of those hard-to-find classics. Each Classic Christmas Album gathers a career’s worth of precious memories, often spanning decades, while creating new memories at the same time. 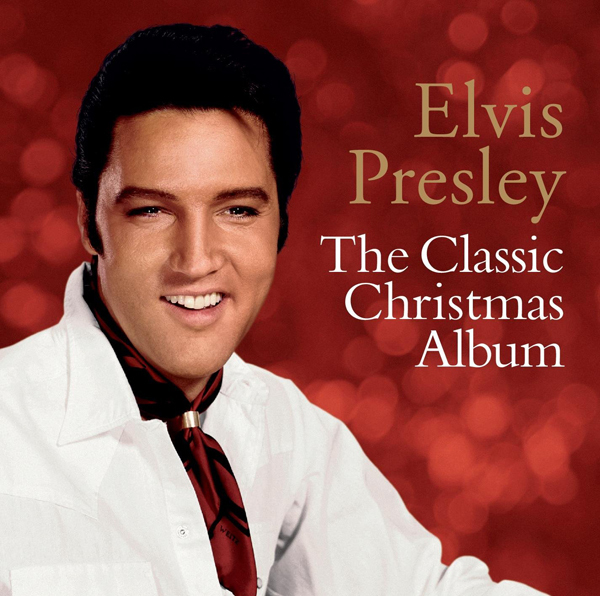 THE CLASSIC CHRISTMAS ALBUM by ELVIS PRESLEY (RCA/Legacy 88725 45538 2 3) Selections: 1. I’ll Be Home For Christmas (with Carrie Underwood) • 2. Blue Christmas (with Martina McBride) • 3. Winter Wonderland • 4. The First Noel • 5. The Wonderful World Of Christmas • 6. Holly Leaves And Christmas Trees • 7. O Come, All Ye Faithful • 8. Merry Christmas Baby • 9. I’ll Be Home On Christmas Day • 10. If Everyday Was Like Christmas • 11. White Christmas • 12. Silent Night • 13. Here Comes Santa Claus (Right Down Santa Claus Lane) • 14. O Little Town Of Bethlehem • 15. Santa Claus Is Back In Town • 16. Santa Bring My Baby Back (To Me) • 17. Blue Christmas. THE CLASSIC CHRISTMAS ALBUM by JOHN DENVER (RCA/Legacy 88725 43775 2 8 ) Selections: 1. A Baby Just Like You • 2. The Christmas Song (Chestnuts Roasting On An Open Fire) • 3. White Christmas • 4. Christmas For Cowboys • 5. Please, Daddy (Don’t Get Drunk This Christmas) • 6. Blue Christmas • 7. Noel: Christmas Eve 1913 • 8. Medley: Alfie, The Christmas Tree/Carol For A Christmas Tree/It’s In Everyone Of Us • 9. Coventry Carol • 10. What Child Is This? • 11. Christmas Like A Lullaby • 12. The Marvelous Toy • 13. Oh Holy Night • 14. Aspenglow • 15. Jingle Bells • 16. Have Yourself A Merry Little Christmas. THE CLASSIC CHRISTMAS ALBUM by KENNY G (Arista/Legacy 88725 41311 2 0) Selections: 1. Winter Wonderland • 2. White Christmas • 3. Have Yourself A Merry Little Christmas • 4. Silent Night • 5. Silver Bells • 6. Let It Snow! Let It Snow! Let It Snow! • 7. The First Noel • 8. I’ll Be Home For Christmas • 9. Sleigh Ride • 10. The Christmas Song • 11. Santa Claus Is Coming To Town • 12. Joy To The World • 13. Do You Hear What I Hear? • 14. My Favorite Things • 15. Jingle Bells • 16. Auld Lang Syne. THE CLASSIC CHRISTMAS ALBUM by WILLIE NELSON (Columbia/ Legacy 88725 44531 2 3) Selections: 1. A Dreamer’s Holiday • 2. White Christmas • 3. Here Comes Santa Claus • 4. Jingle Bells • 5. Rudolph The Red-Nosed Reindeer • 6. Winter Wonderland • 7. Frosty The Snowman • 8. Santa Claus Is Coming To Town • 9. Pretty Paper • 10. Blue Christmas • 11. Christmas Blues • 12. O Little Town Of Bethlehem • 13. Away In A Manger • 14. Joy To The World • 15. What A Wonderful World • 16. Silent Night, Holy Night. THE CLASSIC CHRISTMAS ALBUM by LUTHER VANDROSS (Epic/ Legacy 88691 96832 2 6) Selections: 1. The Christmas Song • 2. My Favorite Things • 3. Have Yourself A Merry Little Christmas • 4. The Mistletoe Jam (Everybody Kiss Somebody) • 5. With A Christmas Heart • 6. I Listen To The Bells (Duet with Darlene Love) • 7. A Kiss For Christmas • 8. Every Year, Every Christmas • 9. This Is Christmas • 10. Please Come Home For Christmas • 11. O’ Come All Ye Faithful • 12. Have Yourself A Merry Little Christmas (Live) • 13. May Christmas Bring You Happiness • 14. At Christmas Time.